Throughout ages, history has borne witness to the inequalities which man inflicts upon himself. He callously degrades some of his identical selves (humans like himself), while elevating others. Thus, man and man got separated through the passage of time because of colour, race, creed, culture and ethnicity. Some became superiors while some inferiors. And the inferiors had to comply with the wishes and commands of those who had the upper hand upon them, for if they refuse to do so, they would be severely punished and degraded further. (Inset: Le Morne Cultural Landscape, a UNESCO World Heritage Site- a rugged mountain that juts into the Indian Ocean in the southwest of Mauritius. "It was used as a shelter by runaway slaves, maroons, through the 18th and early years of the 19th centuries. Protected by the mountain’s isolated, wooded and almost inaccessible cliffs, the escaped slaves formed small settlements in the caves and on the summit of Le Morne. 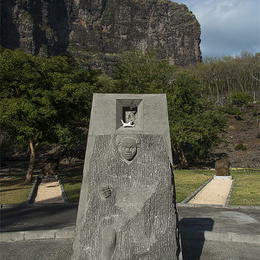 The oral traditions associated with the maroons, have made Le Morne a symbol of the slaves’ fight for freedom, their suffering, and their sacrifice, all of which have relevance to the countries from which the slaves came - the African mainland, Madagascar, India, and South-east Asia. Indeed, Mauritius, an important stopover in the eastern slave trade, also came to be known as the “Maroon republic” because of the large number of escaped slaves who lived on Le Morne Mountain"). Prophets of Allah came to bring about a change in that state of affairs. The commandments of Allah came through to bring about hope in the life of those whom society viewed as inferior and as having no dignity and the freedom to express their rights as fellow human beings. Prophets of Allah tried their best to bring about a change, but every time their heartfelt wishes were crushed until the ultimate saviour of mankind was born and promised to create a new world where every man should live as equals, for this is the absolute command of God Almighty who has created all humans alike, except in piety, for those who are truly pious, they are those who truly realise the goal of life, and that of their own creations and presence on earth. That promised hope came in such a country where hope was previously absent, where men and women were treated as the worst of animals, where it existed such a society which were devoid of human attributes. It was in that society which Allah chose to raise His greatest and the seal of all prophets (last law-bearing prophet), to accomplish a miracle by transforming the lives of those barbarous people, and teaching them humanity, morality and spirituality. 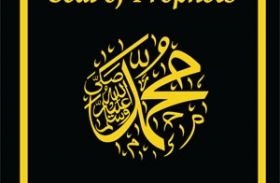 Unfortunately, despite the clear signs of Allah, of Islam and the Holy Prophet of Islam Hazrat Muhammad (pbuh), by sending and implementing respectively the divine commandments to bring about transformation in the lives of those barbarous people, and turn them in real affectionate and compassionate human beings and servants of God, yet despite all these, Islam and its prophet are vehemently viewed as greatest promoters of terror for some ignorant people who have not studied the heart itself of the extraordinary life of the best of men and prophets of Allah. In the context of the Abolition of Slavery which is commemorated in Mauritius every February 01 – and for which it is a public holiday – I have chosen to talk to you about one allegation against Islam and the Holy Prophet Muhammad (pbuh). It is alleged that Islam encourages slavery, but it a fact that Islam is the greatest enemy of slavery, and has put an end to all modes of reducing men to slavery which were current in pre-Islamic days. Islam forbids the reduction to slavery of men who are captured for no reason, or merely because they belong to a hostile tribe or nation, or who have been taken prisoners in worldly wars. It is refreshing to note the diverse nature of the work of faith and spiritual conviction, being performed by the brothers of the Jamaat Ul Sahih Al Islam in India on a voluntary, personal and collective basis, to establish Tawheed in this era and to bring about spiritual transformation in society through the sustained, internal engagement with, and propagation of, the Message of Allah in this era, through the advent of the Khalifatullah Hadhrat Muhyi-ud-Din Munir Ahmad Azim Sahib(atba) of Mauritius. In the course of his Friday Sermon of January 23, 2014 the Khalifatullah (atba) shared with the world some of these remarkable efforts being made by his disciples in India. 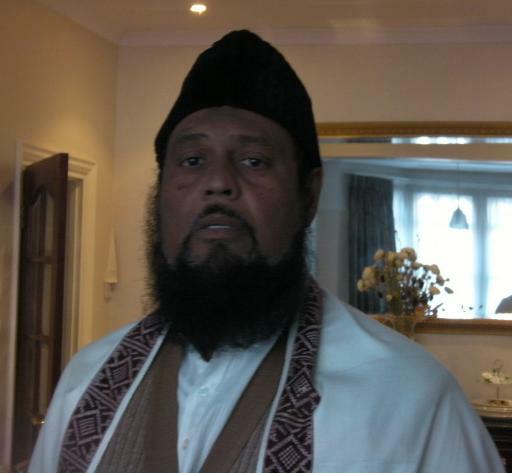 Inspired by the personal example of the Khalifatullah (atba) himself, the Amir Sahib of the Jamaat Ul Sahih Al Islam, (Kerala-South) Mukarram Jamaluddin Sahib of Mathra goes on a Dawa Mission and is blessed with an astonishing experience of a miracle in favour of living Islam through the advent of the Khalifatullah (atba), and also with an extraordinary dream filled with the sweetness of faith; a Tarbiyat/Tabligh seminar in the northern region where a section of our brothers assembled to talk about the challenges of remaining true to one's own spiritual convictions and the obligations of Bai'at it entails; brothers in Tamil Nadu seek to spread the message of the advent of the Khalifatullah (atba) through publications in their Tamil language, etc. He says that unfortunately, nowadays these places have become dirty places (both physically and spiritually) and the worst of sins which people commit is when they go on Dargas to pray the saints (Pirs), or people whom the others take as saints. Therefore, along with his cousin who is a member of the Sunnat-e-Jamaat, they went to those places. The Amir Sahib went for his Dawa/tabligh, to bring these people back to Tawheed (the unity of God) whereas his cousin was one of those who are believers in those saints and practices. In the same verse Allah (swt) continues to say that righteous women should be devoutly obedient, guarding in (the husband’s) absence what Allah would have them guard, even if nobody is watching them. Therefore, based on this Qur'anic verse, the husband’s responsibility to fulfill his duties towards his wives is as important as those of the wives (or wife, should he have only one) towards their husband. And the Qur'an makes us understand that a husband has a little more authority upon his wife/wives than the latter upon him. This verse of the Qur'an also shows that both man and wife enjoy each, rights (which have been bestowed to them by Allah) and which they have the right to demand from each other. And Allah (swt) has also showed the relation and responsibility which must exist between husband and wife whereby each one knows his/her rights. By revealing this verse, Allah (swt) wanted to make us understand that the rights of both the husband and wife are equal. You all know that garments are meant to cover our body, especially its defects. Moreover, garments are means to embellish ourselves, man and woman and to protect us from heat and cold. By likening the husband and wife as garments, Islam wants to show that a good wife is one who protects the honour and dignity of her husband, and she does not go outside and relate to creatures the defects/weaknesses of her husband, and similarly a good husband is one who does not humiliate, blame or relate the defects/weaknesses of his wife with others. This is the beauty of Islam, whereas the garment mentioned means Purdah (covering). The beauty therein is the way in which the woman must neither uncover her beauty nor her clothing before other men. She is to reserve that right to her husband. As for the husband, he is to remain loyal to his life (he must not lead a bad life). It is then that there shall be peace, tranquillity and blessings in their household. Nowadays parents are teaching their children a lot on only the material aspect of education. They make all necessary preparations in this field ever since the birth of their children. Here, in Mauritius, we see children being admitted to pre-primary schools at around 3 years old, and when they reach their 5 years old, they go to primary school, then secondary, and finally to university, be it locally or they are sent abroad (to pursue their studies). Parents are ready to make debts so that their offspring study to obtain a degree or diploma. They readily invest a lot of money to secure his (material) future. They are even ready to mortgage their houses, lands to make their children succeed in their advanced studies and become doctors, engineers or lawyers etc., and they do it all with much pride. All these endeavours are very good, I am not condemning this, but you (parents) should not look at only the material aspect of your children’s education. When you do so, you let this world attract you more so that you may get acclamations in society as the parent/s of such doctor, lawyer etc; and, this despite being overloaded with debts which you contracted to make him/her reach this level of mundane success. And, this despite the fact that there is no guarantee that he/she is grateful to you for the sacrifices done to make him/her get his/her diploma; he may as well neglect you and cast you aside. Or, despite the efforts made, even if your child succeed in becoming a doctor, engineer, lawyer etc., but at the end of the day he is null in Deen (religious) matters. All in all, it is a serious matter for you as parents if all this does not affect you the least. 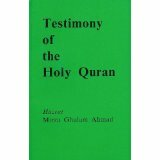 If your child turned out to be ungrateful and/or disconnected with religion after having obtained his degree as a doctor, or lawyer, and he does not pray Salat/Namaz, neglect the reading of the Holy Qur'an and is not at all attached to the religion of Islam, does this not bring a regret in your heart? Does this not affect you if he is Muslim only in name? Then, who is responsible for this state of affairs? This makes you go back in time to see whether you have given him some teachings of the religion of Islam (and how much of it). If ever you actually gave him some training in Deen (religious) matters, then bear in mind that this is not restricted to only a little practice of Namaz (obligatory prayers) – even then, even if prayer is not done in time – or a little reading of the Holy Quran – whenever he gets the time to do so! Despite a little practice of Namaz (Salat) and Qur'an reading, bear in mind that your child has not obtained all Islamic teachings! The European religious history in the last millennium is stained with despicable attacks on Islam and the Holy Prophet Muhammad (sa). 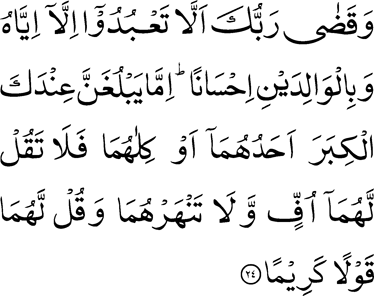 The culprits, in their ignorance and hostility, seek to insult and defame the faith of the Muslims, parading and projecting a most hateful image of the religion of Allah (twa) and slandering and caricaturing the fair name of its Holy Founder so as to destroy his reputation in the eyes of the general public in their societies. Contemporary caricaturing of the Holy Prophet (sa) in the Western media essentially inherits this imbecility from that unfortunate legacy of hate speech and blasphemy, and all of this is indulged in the sacred name of liberty of expression and press freedom. 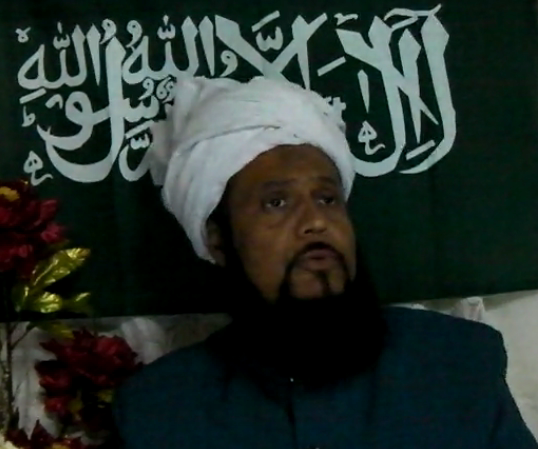 As a Divinely-raised Warner and the Mujaddid (Reviver of Faith among the Muslims) of our times, Hadhrat Khalifatullah Munir Ahmad Azim Sahib (atba) of Mauritius has, on several occasions in the last decade, spoken up against this caricaturing of the Holy Prophet of all Muslims in the western press, warning that such offences are punishable in this very world and the repercussions shall be worst for the culprits and their societies. In the aftermath of the recent incidents involving Charlie Hebdo, political analysts confirm that the attacks indeed constitute an "earthquake" for the French society, parading the inadequacies of the French Republic to come to terms with the societal transitions in its backyard and the collective failures in imagining a shared future that accommodates the diversities and integrate the people on the basis of its professed, foundational principles of liberty, equality and fraternity. 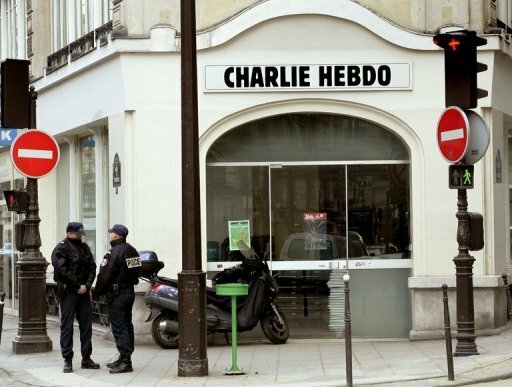 The astonishing prophecy issued by Hadhrat Sahib (atba), warning the Charlie Hebdo and the likes in 2011, had been documented at that time in the Blog and can be read here. Before coming to the heart of my Khutba Jummah (Friday Sermon) on the duties and obligations of parents towards their children, I would like to say few words concerning the Paris “Charlie Hebdo” attack. As you all know by now, on Wednesday 7th January 2015 some people opened fire on the newspaper staffs (among others) of “Charlie Hebdo” in France (12 victims), in one of the abominable bloodshed on the soil of France, as the news channel and other media do not hesitate to state. And as usual, Islam is being blamed for such atrocity and not the people behind it. And as you all know, years ago, around 2006 and 2011, in the backdrop of the first cartoon calumniation of the Holy Prophet Muhammad (pbuh), I issued a prophecy, a clear warning that those who shall play with the purity of the person of the Holy Prophet of Islam shall be punished by Allah, the Most High. Indeed liberty of expression is one thing and calumniating the heart of a religion on the basis of a so-called liberty of expression is another. Indeed the Messenger of Allah cannot tolerate that a single calumniation be brought on the person on the Holy Prophet of Islam (pbuh) and I shall continue to defend his honour till my last breath. 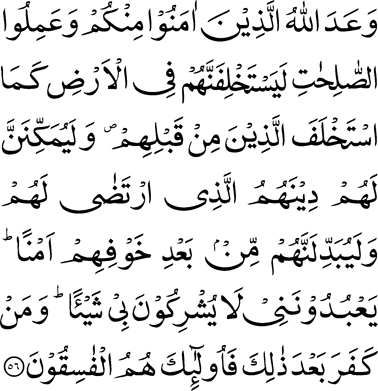 Allah has promised to those among you who believe and do good works that He will, surely, make them SUCCESSORS in the earth, as He made Successors from among those who were before them; and that He will, surely establish for them their religion which He has chosen for them; and exchange security and peace after their fear; They will worship Me, and they will not associate anything with Me. Then whoso disbelieves after that, they will be the rebellious. The lapse of time of his quietness, Hazrat Muhammad (s.a.w) was receiving some messages. That silence increased the inquisitiveness of the sahabas. That silence announced a message coming from Allah that He will send a Khalifa who will stand as a guardian and will guide people to the right path. But when this will continue, people will start having fear for the Khulafa, instead of Allah (swt). And when this fear takes place in the heart, they will start having fear of man and they will invite others towards him, instead of ALLAH. 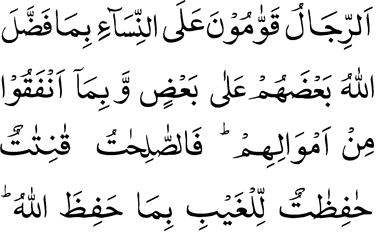 From the verse “Khalifa” is based from prophethood system. Allah raised this person with the status of prophethood where revelation descends upon him. We all understand that after the deaths of the four Khulafa of Islam, were there not Khulafa who guided their communities on the right path? This procedure had continued till Allah sent Mujaddidin and even nowadays do you think that only the Ahmadiyya Association has a Khalifa, other Muslims sects do not have Khulafa (for their respective sects)? So to understand this. (Khilafat based on the system after prophethood), when this system is being corrupted and misguided, by the grace and mercy of Allah, He raises a Khalifa on the prophethood system. The “Khalifatullah” as he is chosen by Allah. Allah raises him, and he is not elected by man. Then Allah takes controls over him completely. This verse of the Qur'an is very clear and there is no controversy into it; Allah makes a promise from this verse that those who do good actions, what are these good actions? Those who will worship Allah only and will never associate anybody to Him, that is, those who will have only the fear of Allah in their heart. Allah will give these people successors in this world. Allah will raise a Khalifa among them as a reward of these good actions and He will bestow peace and security after their fear. Before getting to the heart of the subject of today’s Friday Sermon, Alhamdulillah, I thank Allah for the immense favour He pours down upon me and our Jamaat, which is making great progress day by day. Recently, like I informed you, I had to go to London, in the United Kingdom and Alhamdulillah, Allah has manifested many signs and has opened the door of Dawa all the more, so that people in general, and the Ahmadis in particular receive the message of peace which comes from Allah and His Khalifatullah of this era. The Dawa was great whereby many people – Christians, Hindus and Muslims (Afghans and Arabs etc.) received the message of the unity of Allah and of the advent of a Muhyi-ud-Din (Reviver of Faith) and Khalifatullah (Caliph of Allah) who has come to unite them together under the banner of “Laa-Ilaaha Illallah Muhammadur Rasullullah” (There is no God but Allah and Muhammad is the Messenger of Allah). Alhamdulillah, Summa Alhamdulillah, as I was journeying to London, I made it a duty to try to contact the Khalifatul-Massih V, Hazrat Mirza Masroor Ahmad. Even before my departure, I sent his officers an email to inform him about my visit to London, and in London itself, I sent him a letter, a Message of Peace, which Insha-Allah, shall be official (along with the other materials) on the website very soon. What is pleasantly astonishing is that the Ahmadis in London has not put any boycott on me. On the contrary, they received me with lots of love and teary eyes, in the mosque itself. And there was some talks and explanations on the divine manifestation which were very cordial and they even offered me a place to stay (with all provisions) but by the grace of Allah, Allah already made my provision in this regard, and I must appreciate this also. All in all, they are completely different from the Ahmadis in Mauritius with their boycott policy! “And your Lord has commanded that you shall not worship (any) but Him, and good treatment to your parents. If either or both of them reach old age with you, do not say to them (so much as) “Ugh” nor chide them, but address them in terms of honour.” (17: 24). These days, pupils are preparing themselves to take the way back to school. 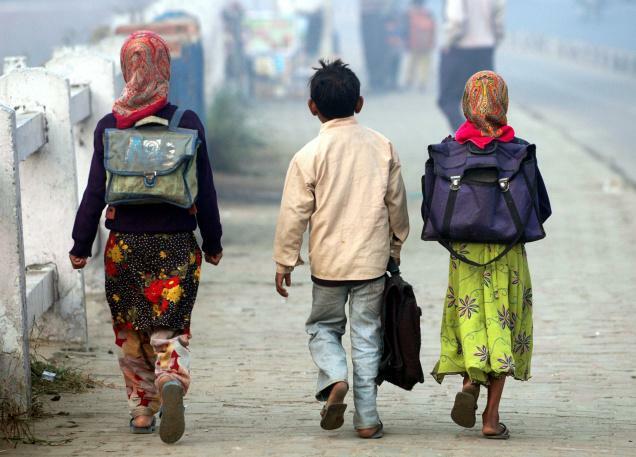 Children also have duties/homework which are not only academic in nature; indeed they also have to accomplish duties with due respect to Allah and His Messenger Hazrat Muhammad (pbuh). I have to tell you all children to keep in mind this motto: Water your mind with academic knowledge/education and water your soul with spiritual knowledge/education which is verily essential in the life of a believer, be him a small child or an adult. And this applies also for all children, even the adults who still are children of their old parents and who have the duty to take care of them. 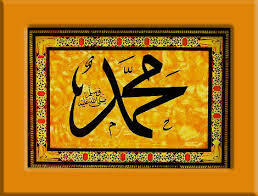 The Holy prophet (pbuh) was born on 12th Rabi’ul Awwal. His father was Abdullah son of Abdul-Muttalib and his mother was Amina daughter of Wahab. It was in the year of Elephant, the year when Abraha an Abyssinian at the head of an army marched towards Mecca mounted on elephants in order to attack Mecca and demolish the Ka’aba. The march of elephants frightened the Arabs but Allah sent down a swarm of flying creatures which threw stones on the Abyssinian army. This event marked history for Allah after nominating the Muhammad (pbuh) as prophet, later revealed to him about what occurred to Abraha and his army in the year of his birth. This Surah is none other than Surah Al-Fil (The Elephant: Chapter 105). Allah relates therein how He crushed them and their evil plans. The Holy Prophet Muhammad (pbuh) came to change the course of human history. His birth was like a spring of light which illuminated the Arabian Peninsula and the whole world. According to various Qur’anic verses and prophetic traditions, we see the magnificence of the Prophet, whether in his physical features, and in his character. His physical beauty is comparable to the beauty of the fourteenth moon; and much more! Several of his companions have given details of his physical traits and his character. 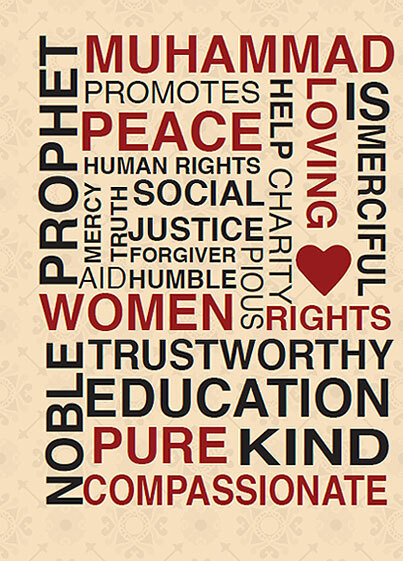 The Prophet (pbuh) had a beautiful constitution. He had a white complexion; a splendid white. His forehead was wide, and the place between his eyebrows was bright like pure silver and his eyes were beautiful, and the pupils of his eyes were black. His cilia were abundant. As for his nose, it was thin, and he had a sweet face. His beard was thick, and his neck was beautiful, being neither long nor short, to the point that if the sun hit him, it seemed like a cup of silver mixed with gold. In addition, the space between the shoulders of the Prophet (pbuh) was wide and his hair, which was neither thin nor curly, almost touched his shoulders. Aisha, his beloved wife reported that “the blessed hair of the Messenger of God (pbuh) were longer than those reaching the earlobes and shorter than those that reach the shoulders.” He was neither tall nor short. (Inset: Hazratbal Mosque in Srinagar, Kashmir. It houses a hair of the prophet Muhammad. The "Moi-e-Muqqadas", arrived in Kashmir in 1699 during the time of the Mughal Emperor Aurangzeb, is displayed on various occasions related with the life of the Holy Prophet ). Today is 26 December 2014, and the last Friday of December, and also this is the first Friday of the month of Rabi’ul Awwal 1436 AH. A new chapter in our lives is opening; a moment which we must seize and reflect upon and also to meditate on the life which God the Almighty, Allah (twt) gave us. 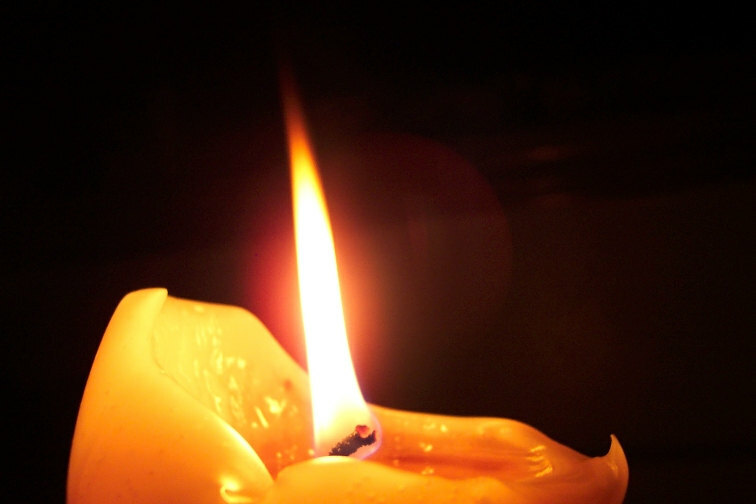 Certainly, human life is like a flame we lit in the morning and which is put out in the evening. For the world in general, we enter a new year. Some prepare resolutions for this year, some reflect on their actions over the past year while others have fun and forget the next day and what will happen to them. Death does not differentiate between the big, the small, the rich, the poor, the one who is elderly or the young, and it does not act on racial discrimination; therefore it is a reality which affects every living thing on this earth. The following excerpt from the Quran, known as the “The Istikhlaf verse”, forms the basis of the Quranic concept of Islamic Khilafat, and includes the caliphate of Allah (Khalifatullah). A Khalifatullah govern between the people by that which Allah the Almighty has revealed to him, and follow not their vain desires. The Khalifatullah must beware in case the opponent seduce him from just some part of that which Allah the Almighty has revealed to him. In this Hadith the first era of caliphate is commonly accepted by the Muslims as that of the Rashidun. The era after the Promised Messiah, there has been the Khalifat’ul Massih, a caliphate that the Ahmadiyya Jamaat has elected which would implement the injunctions of the Ahmadiyya Jamaat, and this has remained as long as Allah willed. Then corruption took place and the teachings of Islam and the Promised Messiah (on him be peace) were trampled to dust, and the Ahmadies gave Khilafat more importance than Quran, Sunnah and teachings of the Promised Messiah. 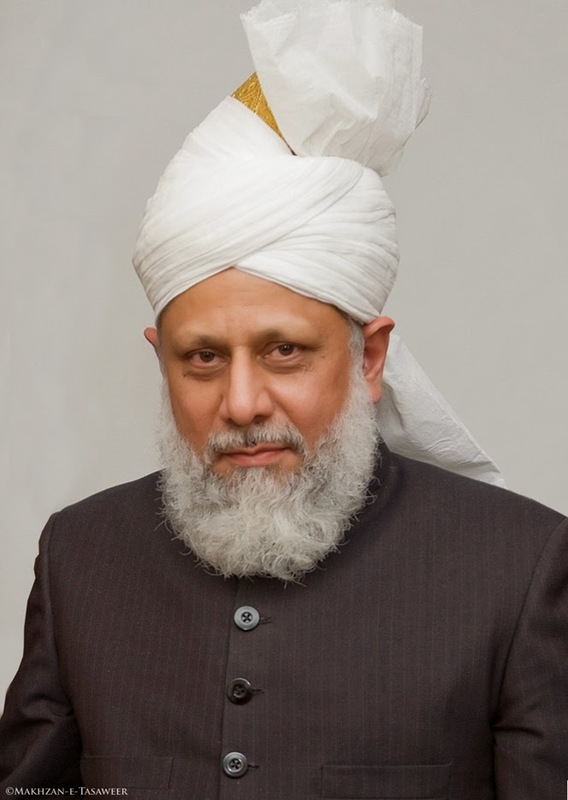 And especially when they have said “Khilafat is our life”, Allah has removed His Divine Light, favour and raised this humble one as His Khalifatullah, and this humble one has not been elected by men, but, Allah has chosen His beloved one to continue the work of Hazrat Muhammad (peace be upon him) and the Promised Messiah (on him be peace). Fa-immaa ya-ti-yan-nakum-minnii hudan faman tabi-a hudaa-ya falaa khawfun alayhim wa laa hum yah-zanuun. In light of these two verses that I read to you, we see that it (appearance of an Elect of Allah) is a blessing from Allah, not men. Once man has reached a certain degree of mental maturity, God has sent prophets to guide him. The advent of these prophets is a great manifestation of God’s grace and a source of His many blessings. When these prophets die, Allah favours the world by giving it another manifestation of His grace – blessing its people by sending Mujaddidin, Reformers, and Revivalists, Messiahs or even Caliphs of Allah (Khalifatullah). The Caliph of Allah (Khalifatullah) as Allah Himself has made clear “Innii jaa ilun fil-Arzi Khalifah”, i.e., Allah Himself, the Most High will place His Khalifah on Earth, and it is not by the vote of men that this Khalifah will be elected. This is by no means the same as the election of a minister or an MP. A Khalifatullah is unique. Why? Because he is not elected by the hand of men, but rather, he is established by God and chosen by Him, Himself. This means that the Khalifatullah is not only intellectually and spiritually speaking, the Chosen One of Allah, but he also commands by his status the highest moral quality. It is for these reasons that a Khalifatullah becomes for the Ummah of Hazrat Muhammad (peace be upon him) a wealth of blessings. This divine manifestation has been amply demonstrated by God, with the arrival of a Khalifatullah where there is a spiritual revolution, especially when Islam (the universal religion) is now in a painful and difficult situation. Problems did not wait to come to the surface. When we see many so-called Muslims, and great defenders of Islam trampling the teachings of Islam, we realize that they are Muslims in name only. “‘Qudrat-e-Saniyah’ is everlasting and will end till the day of Judgement”. The meaning of the Promised Messiah (on him be peace), in this sentence concerning the word “Qudrat-e-Saniyah” implies to “Khilafat”. And according to the Promised Messiah (on him be peace), “Khilafat” does not only implies to “Khilafat-e-Rassool” but it also implies to “Mujaddid”. The Promised Messiah (on him be peace) believes that “Khilafat” includes “the four rightly guided successors of Rassool” and Allah willed that it should continue to exist permanently till the Day of Judgement. Thus, the Promised Messiah (on him be peace) has not declared the “Ahmadiyya Khilafat” everlasting in his writings. 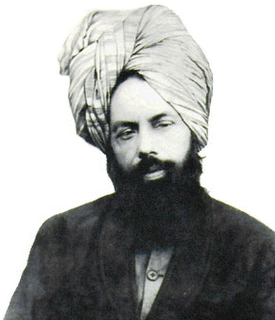 What he has declared everlasting are two things: (1) Qudrat-e-Saniyah (2) Islamic Khilafat.